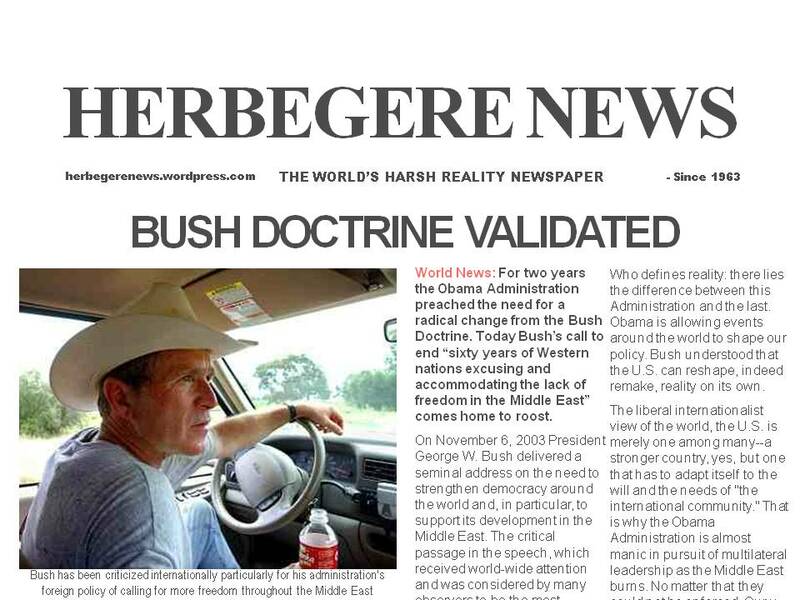 MIDDLE EAST REVOLUTION: BUSH DOCTRINE VALIDATED? World News: For two years the Obama Administration preached the need for a radical change from the Bush Doctrine. Today Bush’s call to end “sixty years of Western nations excusing and accommodating the lack of freedom in the Middle East” comes home to roost. Who defines reality: there lies the difference between this Administration and the last. Obama is allowing events around the world to shape our policy. Bush understood that the U.S. can reshape, indeed remake, reality on its own.